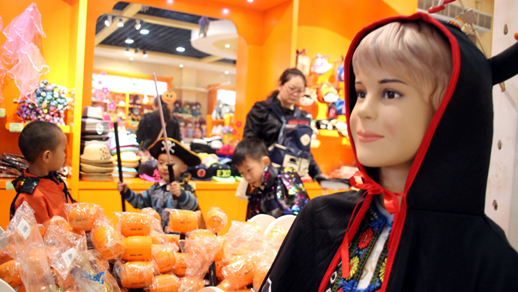 Editor's note: The Western festival of Halloween has become very popular in China in recent years, particularly in large cities. As the festival falls at the end of October, it has become a party occasion for large bazaars, shopping centers and supermarkets. Halloween goods are in great demand and people celebrate the occasion with decoration, using pictures or images of ghosts, monsters and pumpkin lanterns. 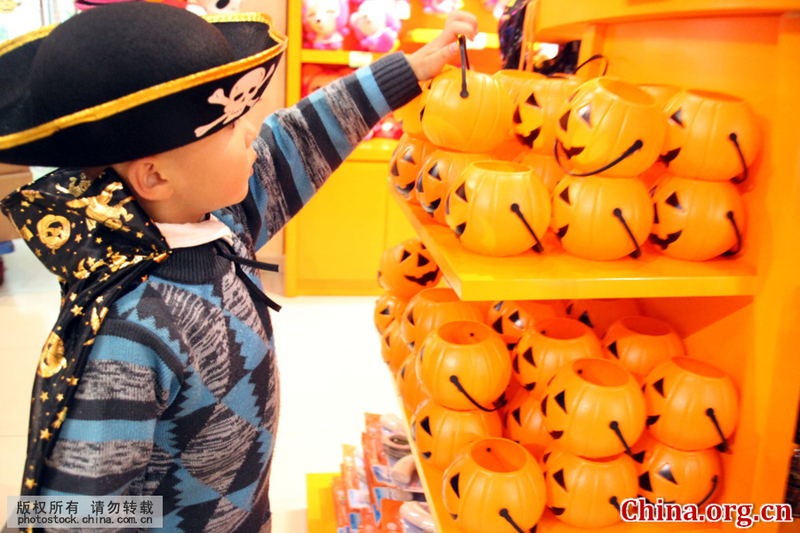 In the following pictures, Halloween goods are selling well at a large store in Suzhou, east China's Jiangsu Province, where the great variety of fancy and lovely Halloween goods are a feast for the eyes.